Startup Grind Global Conference – Discount and Free Tickets! MasterMinds OC Startup Accelerator #13 + 1st Birthday Party! MasterMinds OC Startup Accelerator Workshop #13! MasterMinds OC Startup Accelerator Workshop #11 - SOLD OUT! MasterMinds OC Startup Accelerator Workshop #7 -- SOLD OUT! "MasterMinds Groups" that accelerate startup companies have been a key driver of growth company success for generations. Hosted by best-selling author and serial internet entrepreneur, Scott Fox, our community service workshops act as a startup incubator and startup accelerator supporting high technology growth companies and early stage software ventures in OC. Anything you may be facing in your own entrepreneur adventures, someone in our group will be able to help you during our friendly workshops! Join us today if you live/work in Irvine, Tustin, Newport Beach, Huntington Beach, Santa Ana, Mission Viejo, Lake Forest, Laguna Beach, Santa Ana, Anaheim, Fountain Valley, Orange, Long Beach, Costa Mesa, etc. The OCSC helps Orange County entrepreneurs incubate and accelerate their startup and small business ventures by hosting these workshops that help with questions about strategy, finding profitable niches, web development, new product creation, internet marketing, SEO, raising venture capital, business plans, social media marketing, blogging, email systems, domain names, mobile app development, staffing/recruiting/outsourcing, UI/UX, legal issues, angel investors, e-commerce, PPC advertising, Amazon fulfillment, joint ventures, affiliate marketing, graphic design, crowdfunding, and more. Our local OC Master Mind group meetings offer friendly group problem-solving discussions that help local Founders (and aspiring Founders) to move forward, farther, and faster, and have some fun, too. p.s. 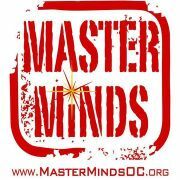 Interested in joining a helpful Master Minds Group but don't want to wait for our next meeting? Click here to learn more about joining the private MasterMinds Startup Strategy Coaching Forum for friendly ONLINE business coaching - available 24/7 online! By attending attendees agree to release, indemnify, hold harmless, defend, and pay defense costs for the organizers from any and all liability or claims and consent to use and sharing of any photos or videos taken in any media.